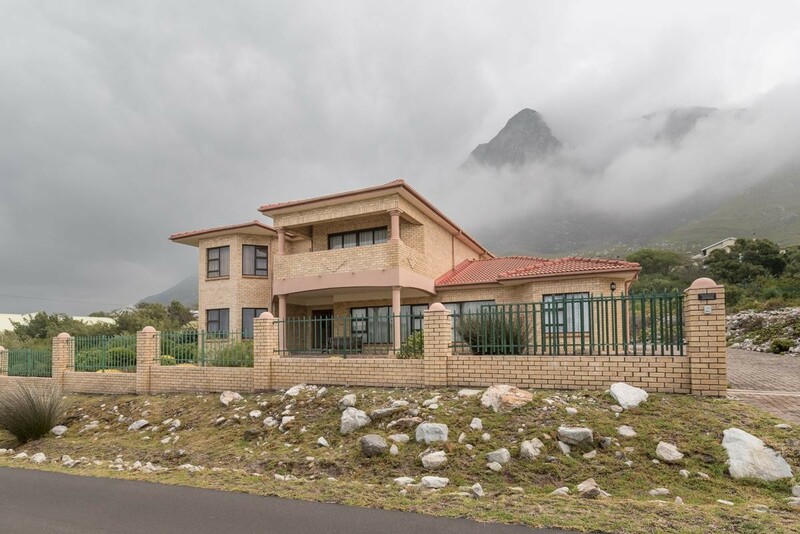 One of the top locations in Bettys Bay, Bass Lake area with fantastic views. This large imposing double storey house offers 5 double bedrooms all with BIC's. There are 3 1/5 bathrooms, 3 reception areas a fully equipped, modern kitchen and an extra smaller kitchenette to service the living area and upstairs bedrooms. The fully fenced property has a remote controlled access gate which leads to a double garage. Easy cleaning and maintaining as all floors are tiled. Enjoy the beautiful sea and mountain views and a short walk to the sea. The erf is a large 2000+sqm which gives you ample outdoor space and privacy.